Given by the American Friends of the V&A through the generosity of Patric Prince. 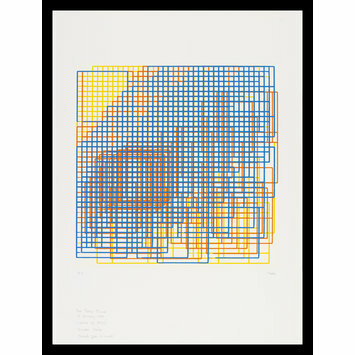 This screenprint is of a plotter drawing produced using a computer program, or algorithm, written by the artist Frieder Nake (born 1938, Germany). Nake was able to set the parameters of the program to dictate the horizontal and vertical framework of the drawing. By deliberately writing random variables into the process, Nake also allowed the computer to make certain choices within a given number of options. At this time, computers would have had no screen on which the image could be visualised and the artist would have generated the drawing using a pen plotter, an early output device. A plotter is a mechanical device that holds a pen or brush and is linked to a computer that controls its movements. The artist would not have been able to predict the appearance of the image until the plotter had finished drawing. From this one computer program, Nake could produce a large number of different drawings. The V&A holds a photograph by Frieder Nake entitled 'Walk-through-Raster, series 2. 1-4' (E.955-2008) of another drawing produced using the same code. 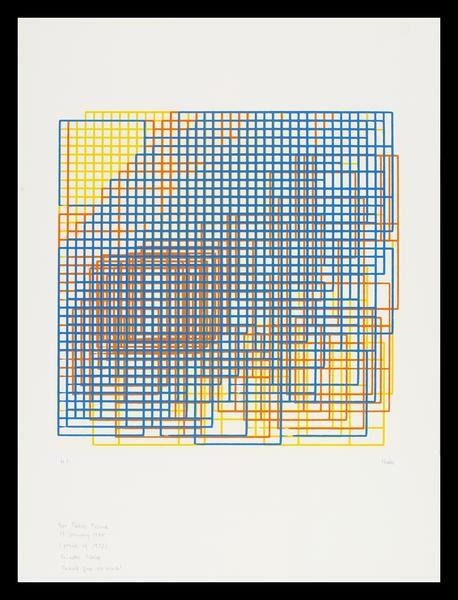 Screenprint from a plotter drawing. 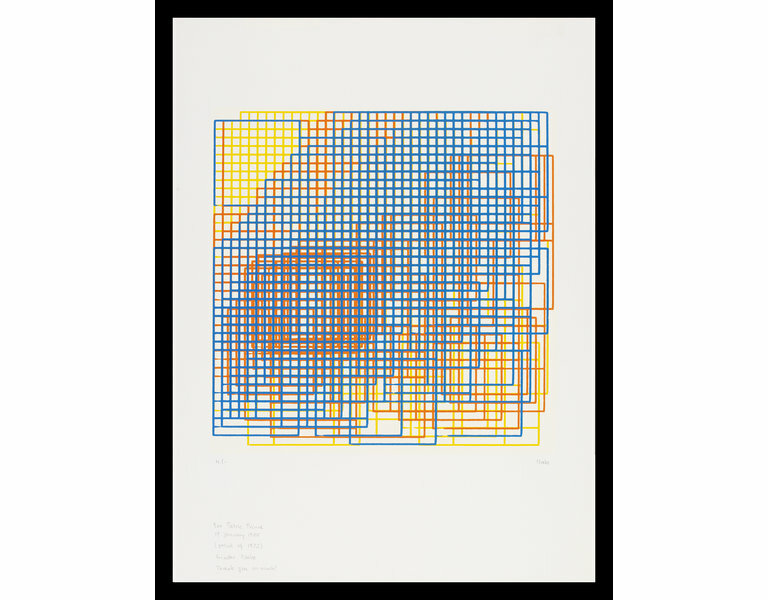 Screenprint from a plotter drawing, 'Walk-Through-Raster Vancouver Version', 1972, edition of 25 (unnumbered), by Frieder Nake. Herzogenrath, Wulf and Nierhoff-Wielk, Barbara, eds. Ex-Machina-Frühe Computergrafik bis 1979. Munich: Deutscher Kunstverlag, 2007. ISBN 978-3-422-06689-2. p.427 (cat. 273), ill.
Attribution note: This print is from an edition of 25 (unnumbered) that were created in addition to the 200 produced for the Ex Art Machina portfolio, published by Gilles Gheerbrant in 1972.